Donation To National Innovation Center 2073 B.S. Contribution Donation To National Innovation Center 2073 B.S. It is a matter of immense pride to Everest English School Bhaktapur, its teachers, students and parents that our school has handed over total Three Lakh Thirty Three Thousand Three Hundred and Thirty Three Rupees to Dr. Mahabir Pun, social worker and winner of Magsaysay prize and the chair of National Innovation Centre. 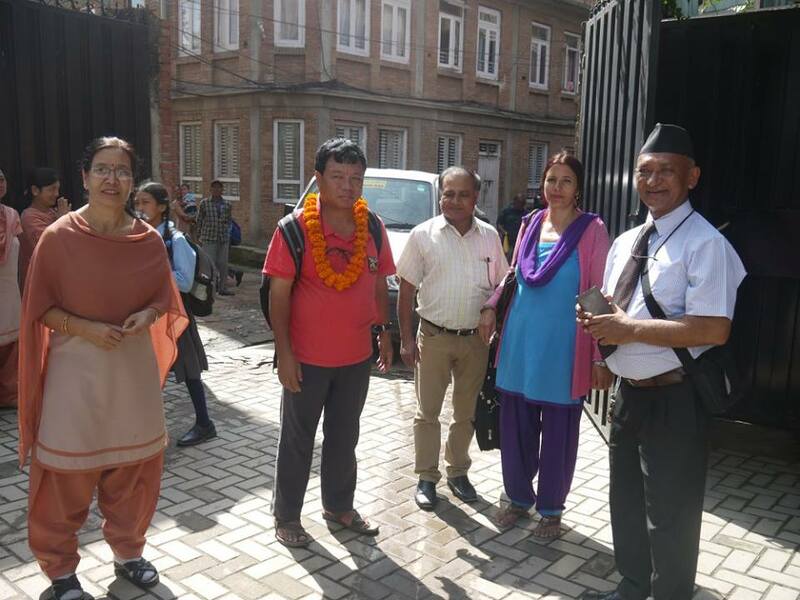 Amid a grand programme along with its guardians, teachers and students, the lyricist of national anthem of Nepal, and good will ambassador of Everestian Birthday Fund, Mr. Byakul Maila has handed over one lakh eleven thousand one hundred eleven to Dr. Pun. Similarly, Mr. Bhakta Rajbhandari, Principal has handed over one lakh eleven thousand one hundred eleven Rupees to him on the behalf of Everest English School. And, One lakh eleven thousand one hundred eleven Rupees collected from its students, guardians, and best wishers was handed in to Dr. Pun by the chairperson of school management committee, Mr. Ram Gopal Karmarcharya. A big Thank You to Dr. Pun for receiving the amount and even motivating our students. Best wishes to Dr. Pun for the success in his mission!! !